Mariola got in touch about driving lessons at the end of the summer last year. Unfortunately, at the time I was full with people, but she said that she would like to wait until I had availability which would be November. I agreed that we could begin then. 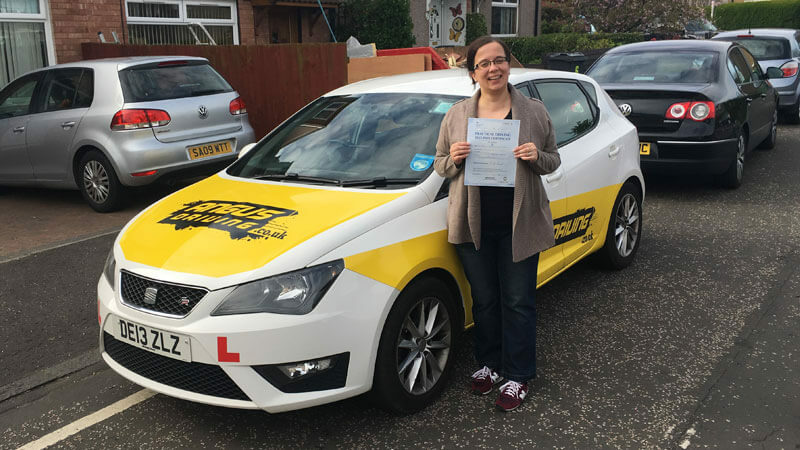 We started, and on our first driving lesson, Mariola told me that she had been taking driving lessons with another driving instructor in Edinburgh but had not been enjoying it. She told me that she felt that her confidence after each lesson seemed to get worse. This was a shame to hear as Mariola seemed to do very well on our first time out together. We did a few lessons before the end of last year, but with Christmas and Mariola’s work getting very busy we had a few weeks off before resuming in January. Mariola had already passed her theory test, so it was just a case of getting the practical side ready. I discussed with Mariola that although learning to driving in Edinburgh was difficult, it was going to develop a lot of valuable skills for the future. By February Mariola was building noticeable momentum with her progress. We had covered everything and driven around a range of areas in Edinburgh on our driving lessons. This year then started to become an incredibly exciting year for Mariola with the news that she had a baby on the way and getting an attic conversion on her house carried out the driving licence was just going to be the icing on the cake. We managed to get a driving test booked for the end of April; we continued driving lessons perfecting Mariola’s skills and building her confidence up so that she was going to be able to handle most situations. On the day of Mariola’s driving test, she told me that she hadn’t told anyone that she was sitting it this was good as it took the pressure off. I waited patiently at the test centre awaiting to hear how she had got on. I was delighted but not surprise that she had passed on her first attempt setting everything up for a very exciting 2017. Well done Mariola.